Peter Berner: Many years ago I publicly mocked and derided the media’s coverage of a major department store’s grand opening of the new cosmetic counter at their flagship city store. I ridiculed the event and those who attended, which included, as one would expect, many of the leading and most attractive thinkers in the land but also the then-state Premier. Streets were cordoned off for the event. Now, as I sit alone and drink myself to death, I can’t help but think that my decision, on that fatal morning, proved a turning point in my career. Peter Berner: Spelling my name incorrectly. Peter Berner: Just because you have bad teeth doesn’t mean you have to learn the banjo. There’s a lot you might be allowed to do if looks are not important to future employers. TBS: What advice would you give a 15-year-old Peter Berner? Peter Berner: Get your teeth fixed. 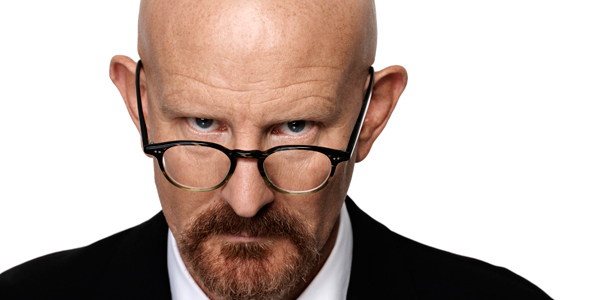 Peter Berner: A few years back I kill…wow…you almost got me. Boy, that question, just slipped in like that, would have made life much easier for the people running Guantanamo Bay. Peter Berner: A firm handshake. TBS: In 3 words or less, how would you describe a Peter Berner comedy show? Peter Berner: I guess the easiest way would be to not use my first name and just go with “Berner comedy show”. Comedy legend as seen on Einstein Factor and Good News Week. As heard of radio's The Cage, The Peter Berner experiment and Thank God it's Friday.